Arsene Wenger has admitted that he may leave Arsenal at the end of the campaign. The admission finally comes after the manager has faced numerous calls from fans to resign from his post following several years of repeated failure. Arsenal have become associated with the top four position so much so that the team has forgot winning the league title. The last success for Arsenal in the Premier league was in the 2003-04 season. Since the competition for the title expanded with the likes of Chelsea and Manchester City competing with huge budgets in the transfer market, Arsenal have slipped down the pecking order. 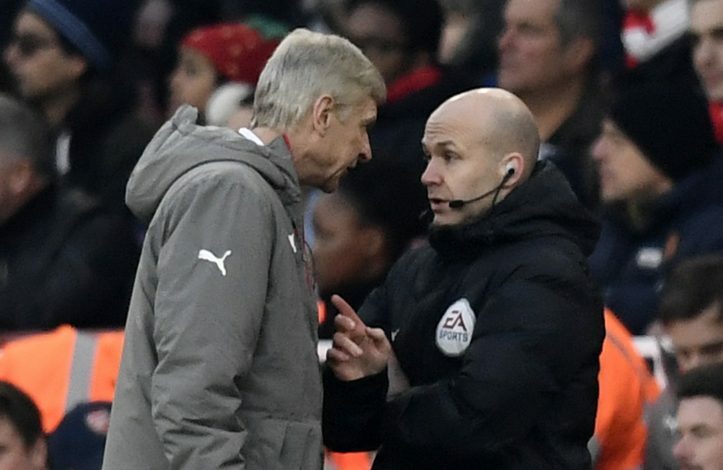 Arsenal manager Arsene Wenger has been charged with a misconduct charge by the FA for verbally abusing and pushing a fourth official Anthony Taylor when Arsenal clashed with Burnley on Sunday in a Premier League game. The 67-year old French coach could not bottle up the emotions when it seemed as if the team would lose at home to the Premier League entrants. Burnley had a terrible away record and were largely written off ahead of the tie but they proved too much of a problem for the Gunners. Arsene Wenger says that the Chinese league could actually pose a lot of threat to the Premier League. The Chinese football league has been in the headlines of late after they managed to capture Chelsea midfielder Oscar for a fee of £ 60 million. This breaks the transfer fee record for the league, while it also becomes the seventh most expensive transfer in the world. Chelsea have been able to secure this incredible sum of money for a player who has not been able to secure first-team football at the club. Wenger admits that it is truly a great transfer fee for someone, who has featured in a handful of league games this season. Arsenal have been one of the best teams in the Premier League this season largely because of their consistency. It has not been a hallmark of the club over the last decade, as it has been one of the primary reasons for their inability to win league titles. As the club enter into November, they still remain in with a chance to win the title this season. Arsene Wenger has always been positive about his club’s chances and he has once again maintained the same just ahead of the game with Tottenham. Spurs are the visitors to the Emirates stadium this weekend. Arsenal manager Arsene Wenger has made comments on the game against Tottenham Hotspur played on Sunday at the Emirates stadium. The North London derby ended in a 1-1 draw. 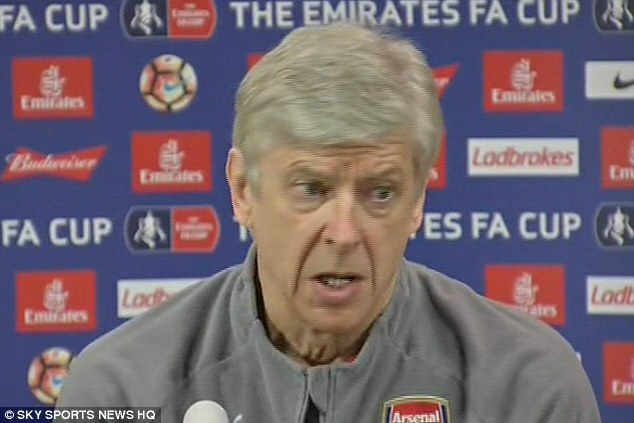 Wenger commented on the penalty awarded the visitors that made them equalize after Arsenal had gone up in the first half. In addition, he spoke about the Gunners chances at winning the English Premier League this term as they drop from being joint log leaders to a distant fourth position. English Premier League giant Arsenal could have had another Thierry Henry in Cristiano Ronaldo if there were funds to get the player when he was still young, according to reports. 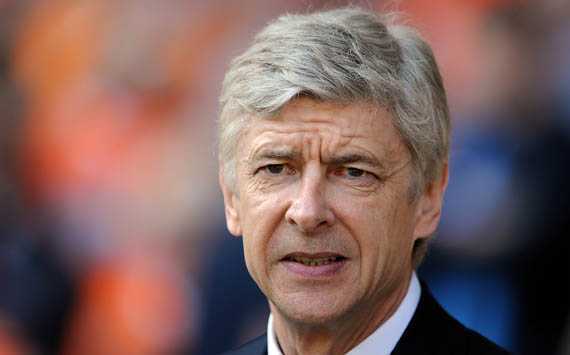 Arsenal manager Arsene Wenger has revealed that he is happy with the way the team behaved against Chelsea. He said that the players followed the instructions well and that they gave everything they can on the pitch. 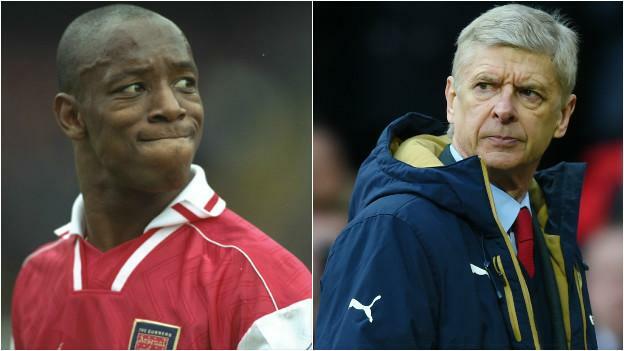 Former Arsenal player Ian Wright joined to sing the praises of Coach Arsene Wenger as he celebrates his 20th anniversary in charge at the club. The famous ex-Gunner spoke on how the manager transformed the club since taking over. “He sent me off for a training camp in the south of France, with the fitness guru Tiburce Darou. Darou got me doing stuff I’d never thought of, running in sand, swimming, playing basketball. It was like spending a week with Yoda,” Wright revealed. It is reported that Arsene Wenger has told Jack Wilshere that his performance with Bournemouth will determine whether he still has a future at Arsenal. 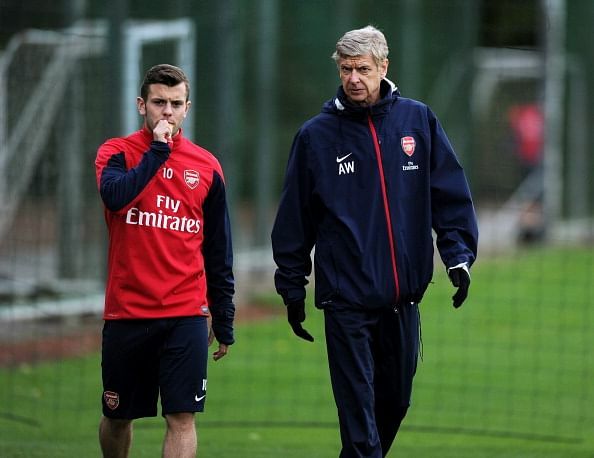 Arsene Wenger has allowed Wilshere to go on loan to Bournemouth in order to get some playing time. Injury crisis is certainly not a term new to Arsenal since the club has gone through several such periods in the last few years.